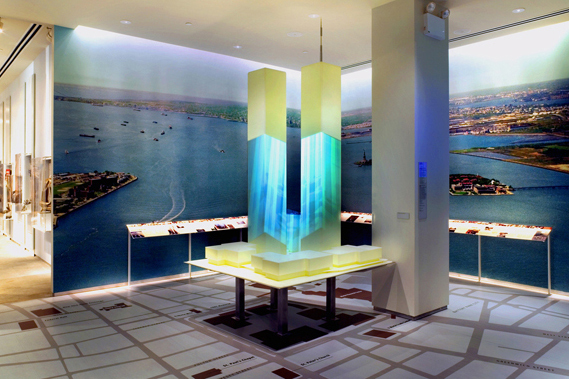 Evangeline Dennie was the lead designer of a team entry for the world-wide competition to design the World Trade Center Memorial in 2003. 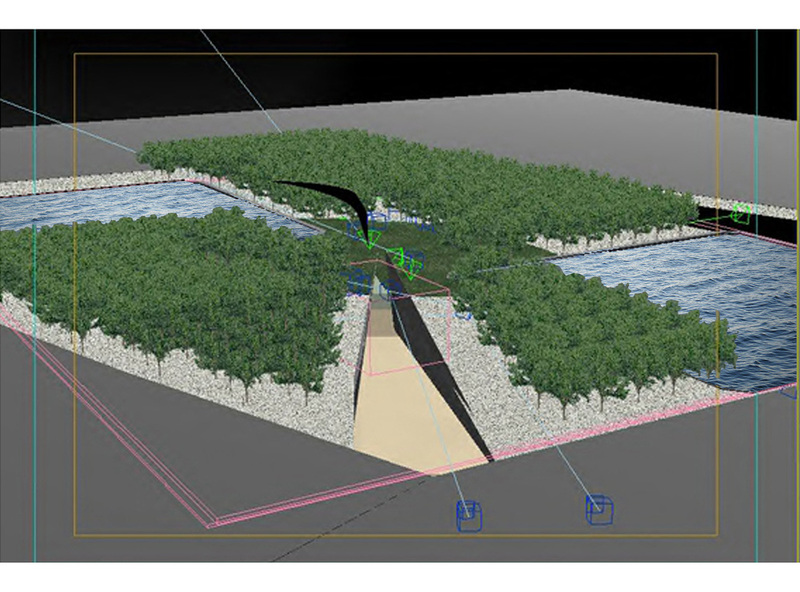 She worked as a consultant for Demetri Sarentitus, and Jeremy Sarentitus provided the 3D renderings. 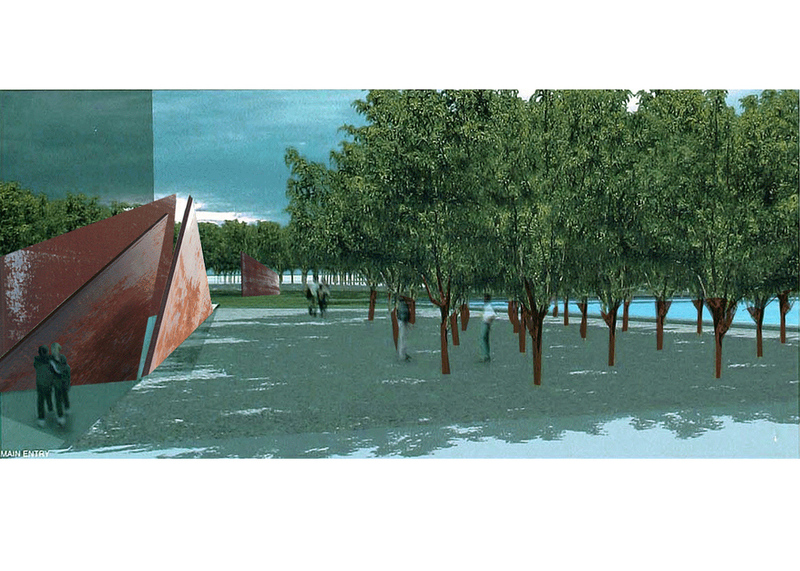 Coincidentally, her design has the closest resemblance to the final winner's design entry, based on the submissions publicly available at the WTC Memorial Competition website, www.wtcsitememorial.org/. 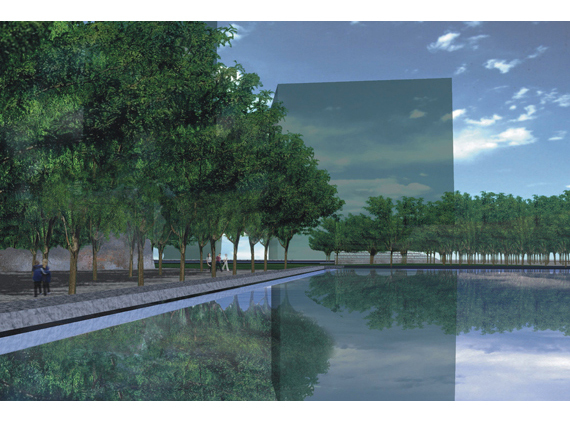 Both final winner's and Evangeline's entries are comprised of a simple field of trees over the entire site, waterfalls at the outline of the towers' footprints, and a triangular structure at an angle pointing to the center of the two towers. The most notable difference between the two designs is that the winner's is the inverse of Evangeline's design in terms of massing. Her waterfalls are seen from underground, where the winner's is seen from street level. 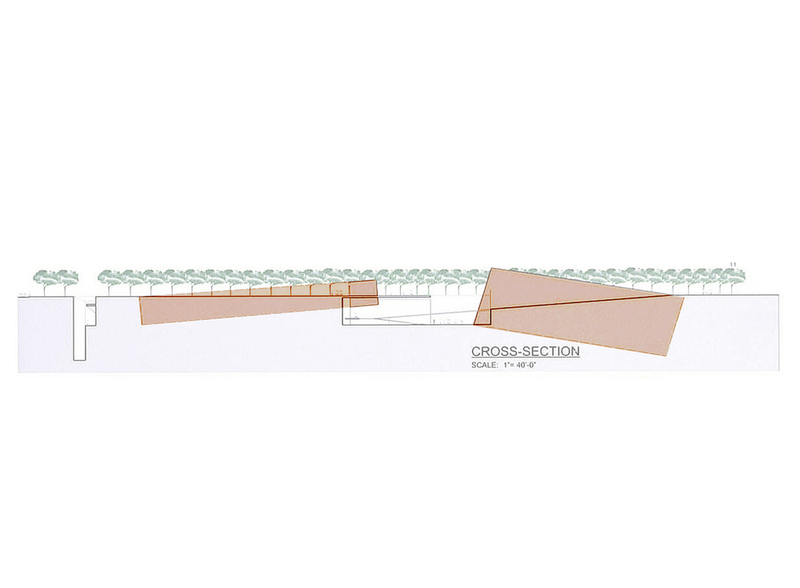 Her triangular structure opens the ground, where the winner's is structure built above ground. The field of trees are the same. She believes the winner's entry is a better design. Reason being that standing at ground level and looking into an abyss of waterfalls evokes a stronger cathartic experience. 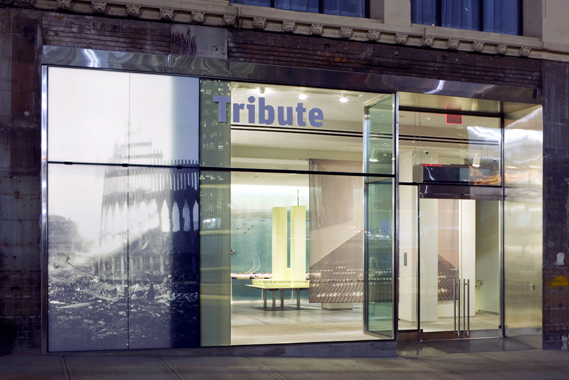 Evangeline Dennie's most important project was the interim memorial at Ground Zero, which served as a gallery and timeline of events for 9/11, called the Tribute Center, in 2006. The space was intended to be a temporary memorial and place for catharsis until the official memorial was built (in 2013). 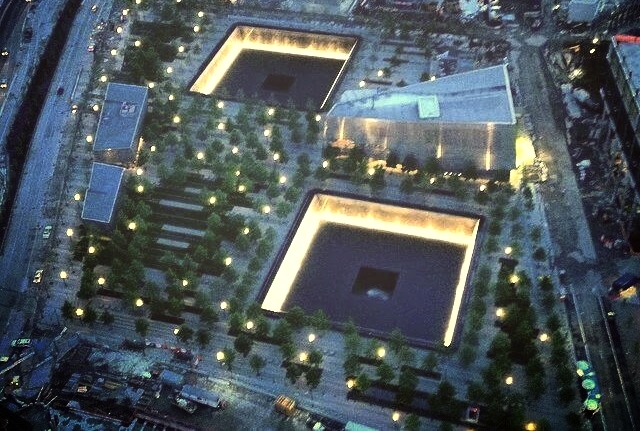 She was a consultant and ultimately the lead designer with the project architect BKSK, for the 9/11 Victims and Families Association. 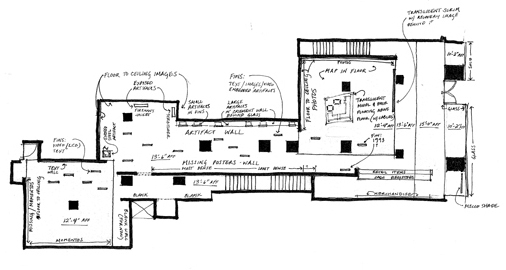 Evangeline designed the layout of the exhibit spaces by architecturally narrating the events of 9/11. She proposed multiple studies to display WTC artifacts, 3,000 names, the timeline, gallery, offices, and retail. She went to the JFK hanger where recovered pieces of the WTC were stored and helped select salvaged items as relics to be on display in the gallery. Evangeline prepared the construction documents from schematics to construction. She coordinated the MEP and HVAC with the engineers and custom millwork with the fabricator. She created the feasibility study for LEED Certification and prepared the eco-friendly material specifications. 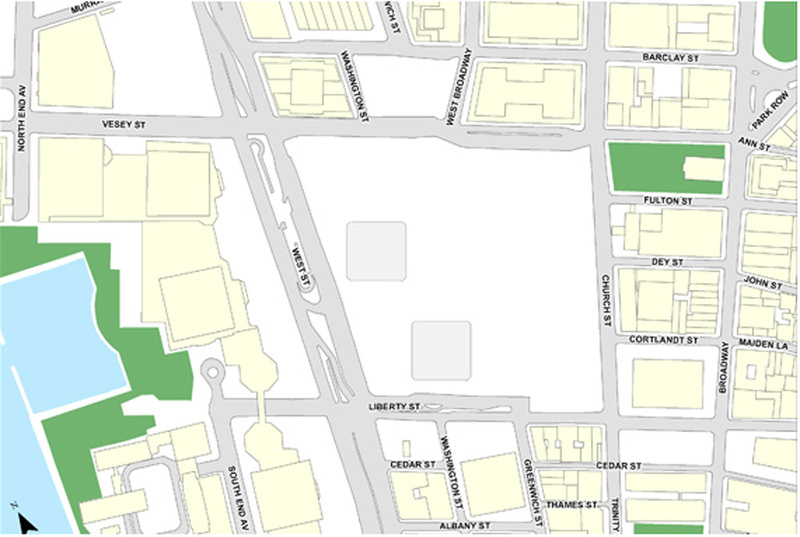 She also provided 3D renderings (FormZ), coordinated scaled mock-ups and graphic exhibits with Pentagram. 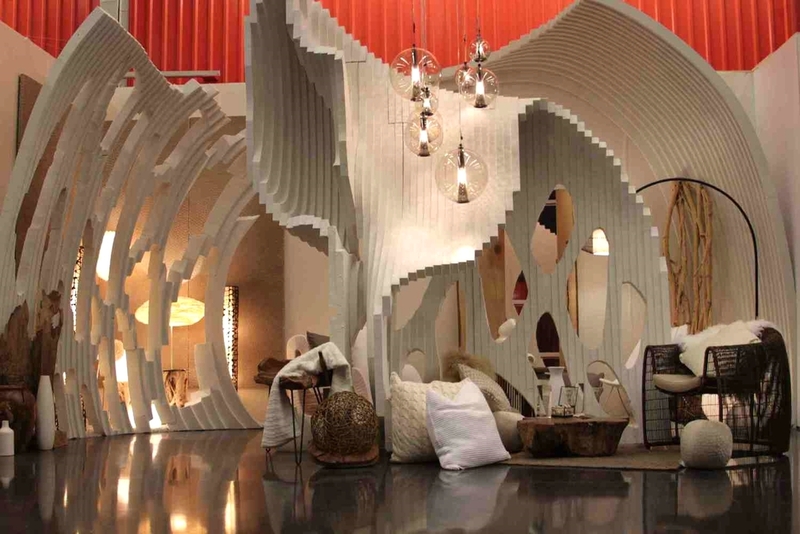 As one of the winners of the BDNY Trend Walk Competition, this exhibit design was selected to showcase the future of hospitality design trends at BOUTIQUE DESIGN New York at Jakob Javits Center, November 2011. 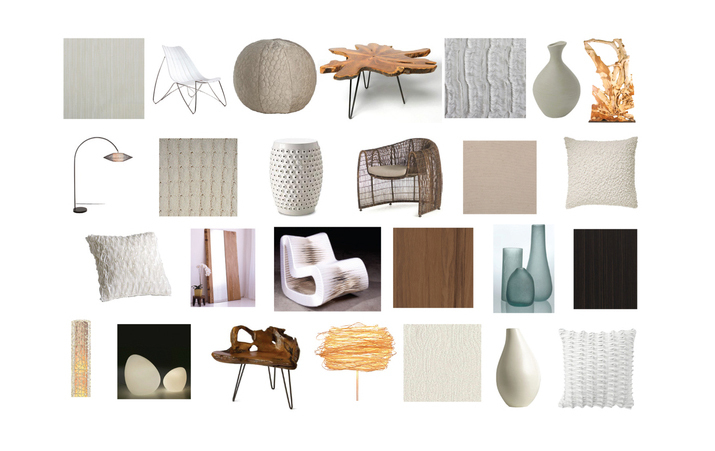 Evangeline Dennie's design firm, A.I. 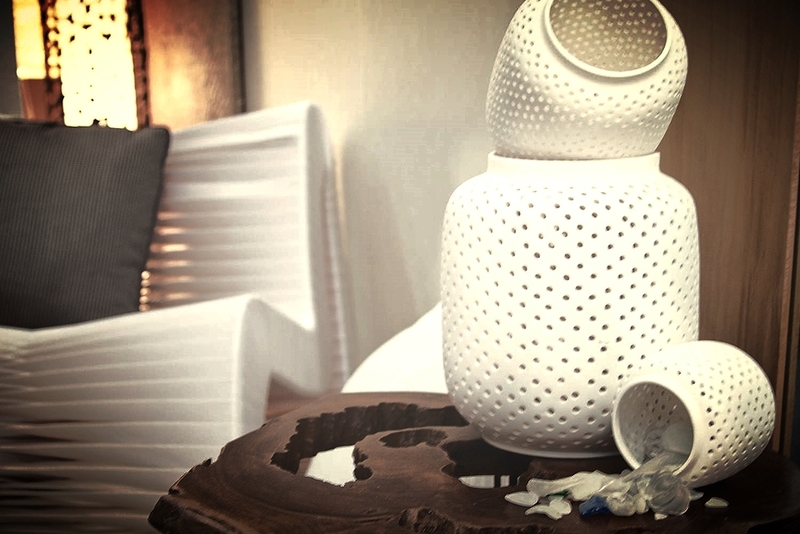 Design Lab, was honored to win TWO of the five future design trend categories, including “Calcified” (shown here) and “Dark Fairytale“. 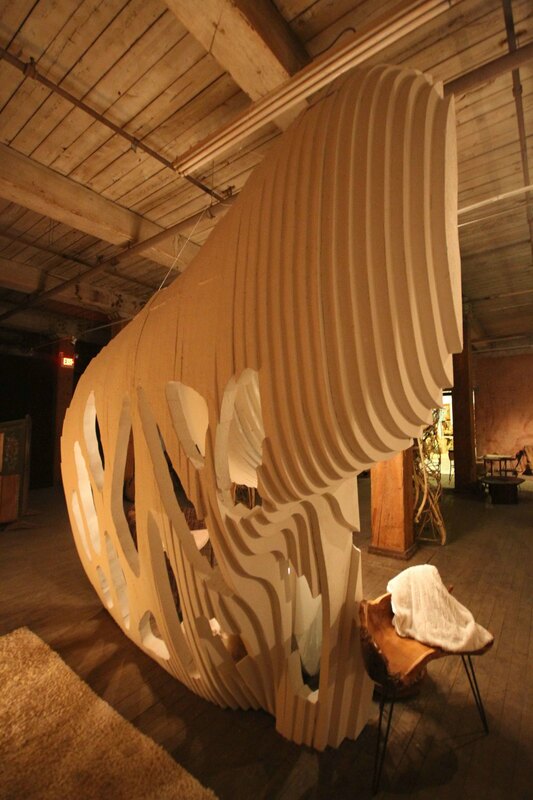 A/I Design Lab created this exhibit showcasing products exclusively from BDNY and IHMRS exhibitors. This entry for the “Trend Walk” was one of eight trends that provided attendees with a glimpse at the future of hospitality design. Designers were challenged to interpret and create a design reflecting one of eight concepts by trend forecaster, Stacy Garcia. Her team reviewed each concept and the four winning designs were selected based on how well each design represented the trend and inspired the viewer. 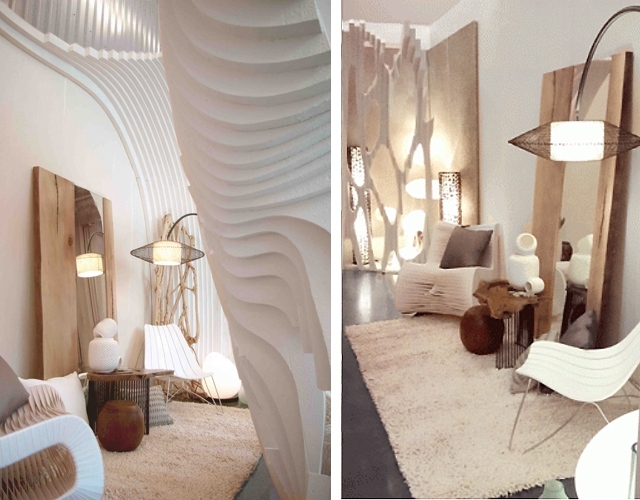 The winners created exhibits showcasing trends for Calcified, Dark Fairytale, Mid-Century Ideal, and Acid Hip. 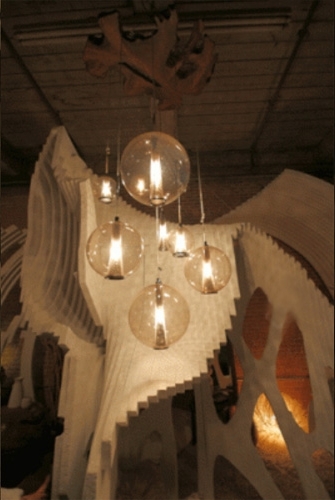 Shown here is A/I Design Lab’s winning entry for “Calcified”. 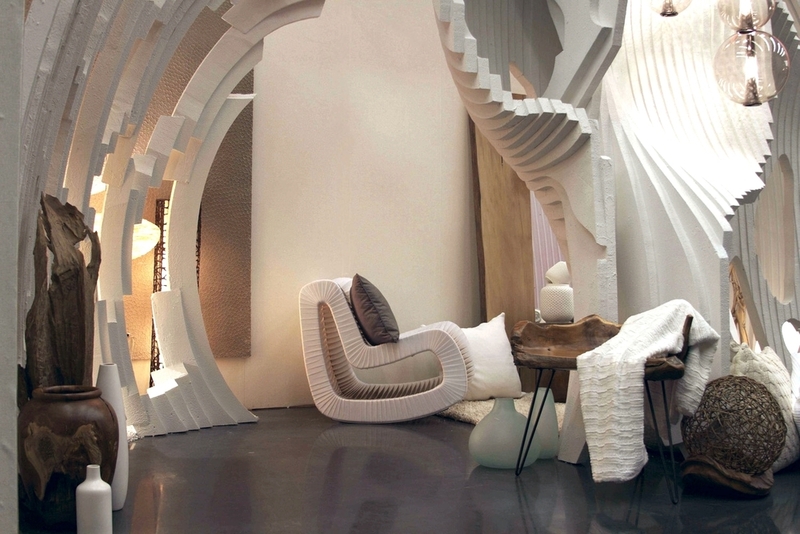 As one of the winners of the BDNY Trend Walk Competition, this exhibit design was selected to showcase the future of hospitality design trends at BOUTIQUE DESIGN New York at Jakob Javits Center, November 2011. 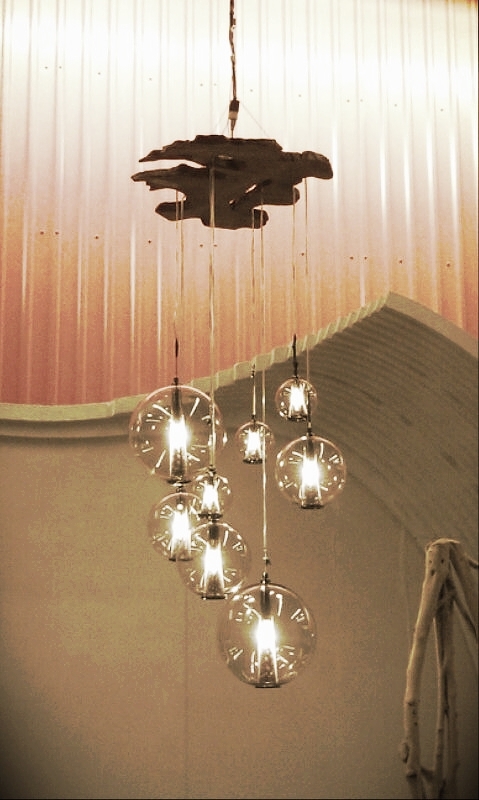 Evangeline Dennie's design firm, A.I. Design Lab, was honored to win TWO out of the five future design trend categories, including “Dark Fairytale“(shown here) and ”Calcified“. 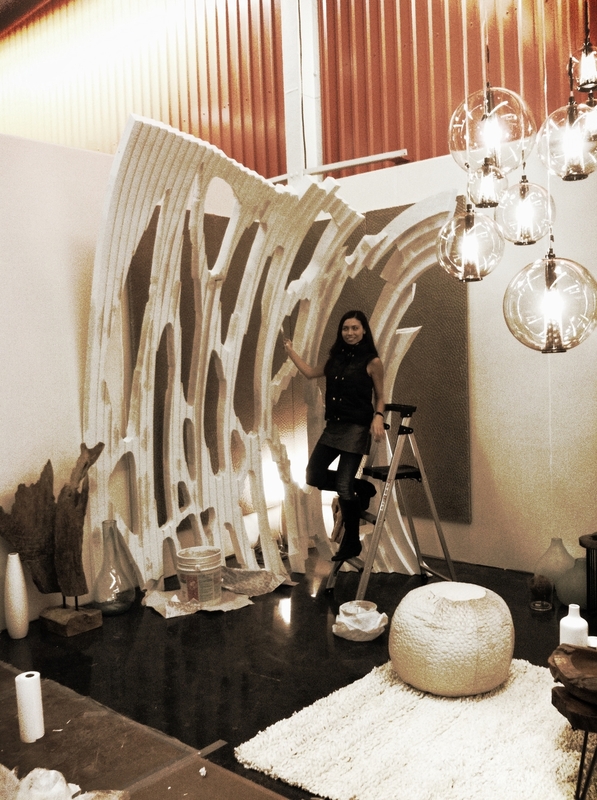 Evangeline Dennie created this exhibit showcasing products exclusively from BDNY and IHMRS exhibitors. This entry for the “Trend Walk” was one of eight trends that provided attendees with a glimpse at the future of hospitality design. Designers were challenged to interpret and create a design reflecting one of eight concepts by trend forecaster, Stacy Garcia. Her team reviewed each concept and the four winning designs were selected based on how well each design represented the trend and inspired the viewer. 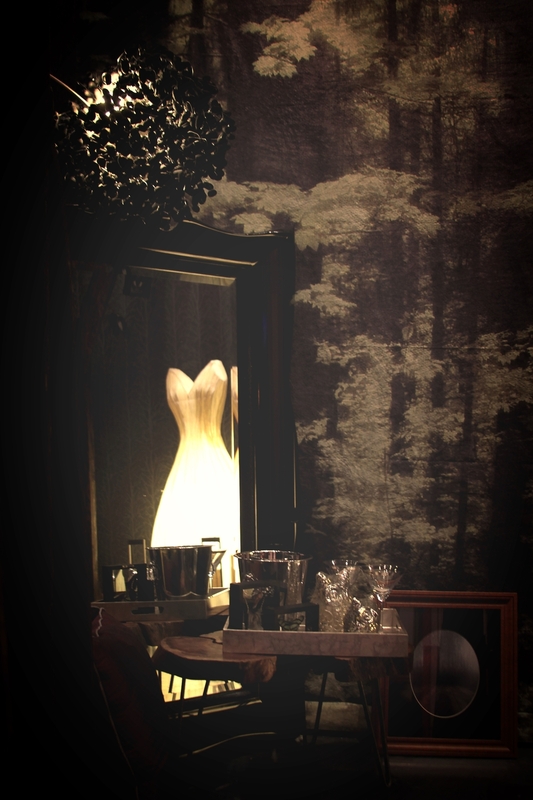 The winners created exhibits showcasing trends for Calcified, Dark Fairytale, Mid-Century Ideal, and Acid Hip. Shown here is A.I. Design Lab’s winning entry for “Dark Fairytale”.